Next up in our series of Charity Ball All-Stars is a 7 year old kid from Florida, named Ethan Friedman. 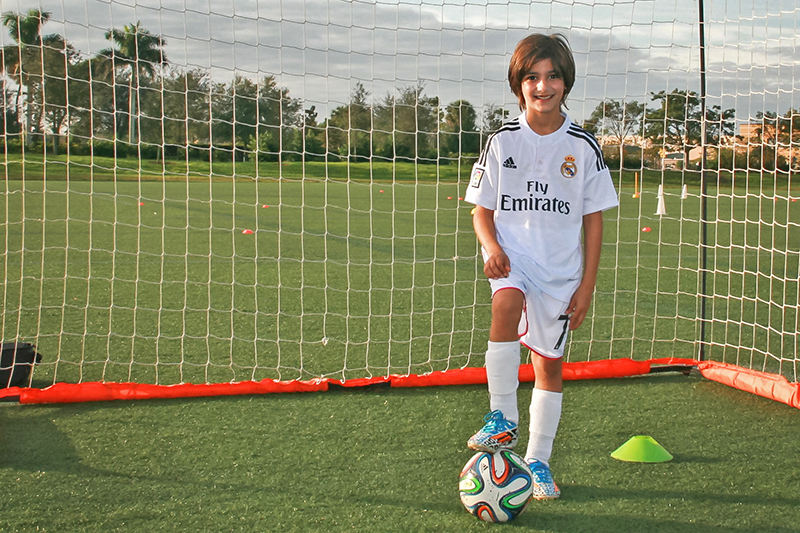 He started an online fundraising campaign called “Futbol for Friends” and was able to raise $2,050. Pretty impressive for a kid who’s only in first grade. One day in school, after hearing about how kids in Peru gather up trash bags and twine in order to construct a soccer ball to play with, Ethan felt motivated to help. Unlike most people, he went beyond his intentions and started brainstorming possible ways of helping kids. 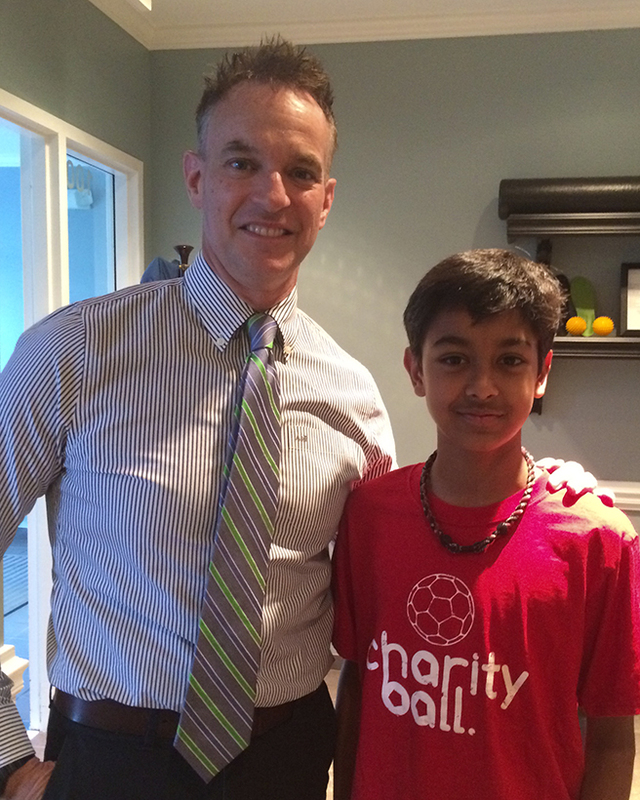 After hearing about Charity Ball and discovering the possibility of starting up an online fundraiser, he was all in. Ethan really enjoyed seeing the donations come through on the website. He was super excited to help the kids, and humbled by peoples’ encouragement and support. Huge props to a young guy who took action, and accomplished something big for his age. Thanks for your efforts Ethan! I’d like to say real quick that one of my goals when I started Charity Ball, was to inspire and encourage kids. My hope was that they would be challenged to use what they love to do, and leverage it to help others. All-Stars like Kaveen Chandra and Ethan Friedman used what they love, to put the spotlight on other kids around the world who don’t have the same opportunities. That’s what it’s all about. Recently, we’ve had an increasing number of kids wanting to start their own fundraiser campaigns for Charity Ball. As a result, we’ve decided to start a new blog series called “Charity Ball All-Stars.” Several of our campaign heroes will be featured and highlighted in these posts for the next few weeks. 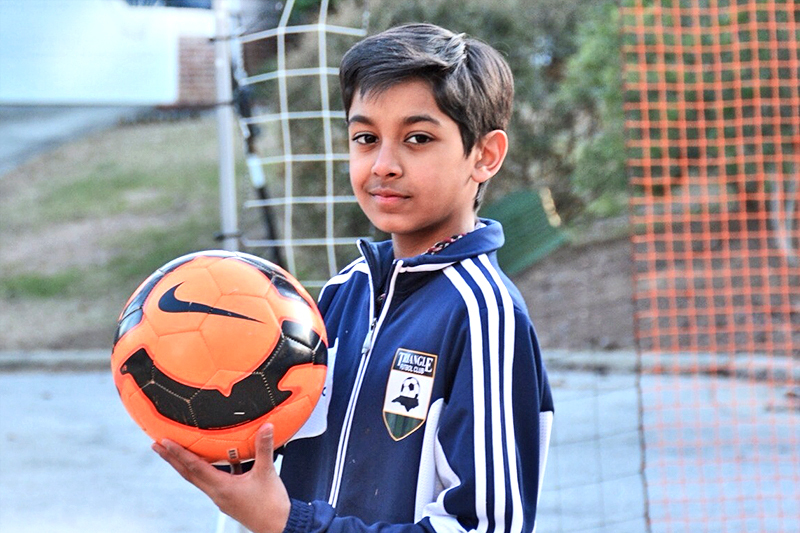 First up… Kaveen Chandra – a 13-year old kid from North Carolina who started his own campaign, “Soccer For Hope” He’s already raised $2,196 and is on target for $2500. Check out what he has to say! Ethan: What was your motivation for starting the “Soccer For Hope” campaign? Ethan: What are some of the creative things you did to raise money? Kaveen: Some things that I did to raise money were the easy things like emailing my friends and family. However, I asked them not to just donate but to pass on the word. My dad put my link on his Facebook page and I realized that was a brilliant idea. So now I ask people to put the link on their Facebook because that is a quick way for lots of people to see it. Another interesting idea that one of my mom’s colleagues had was to tweet soccer players asking for re-tweets and donations – so even if 10 of those soccer player’s fans donate that is 10 more soccer balls. Ethan: What did people say when they heard about what you were doing? Kaveen: Most of the people that I asked for donations from donated and passed the word. They fully supported what I was doing and asked me if there was anything else they could do. I couldn’t have had more support throughout my journey. Ethan: What was the best part? Kaveen: The best part about doing this is knowing that you are helping kids get HOPE, that is why my fundraising campaign is called Soccer For Hope. Being satisfied with what I have done means everything to me. Ethan: What would you say to other kids that want to do something like you but don’t know how? Kaveen: I would tell other kids just go for it. You have nothing to be afraid of. The worst thing that could happen to someone who is trying to do what I am doing is that no one donates. But I’m 99.9% sure that’s not going to happen. Just go for it! Kaveen: What’s next for me… I don’t really know but I do know I am not quitting now. I just met with the owner of Dunn Physical Therapy (photo below) and I asked him to put up a flyer about Charity Ball. He loved the idea and even wants to put this on his website. Way to go Kaveen! Thanx so much for your passion and huge heart.